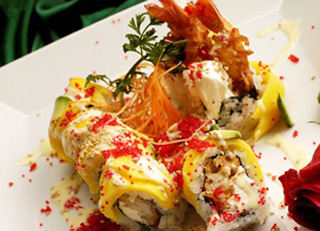 We are adding Online order service to La Ozen Asian Fusion Cuisine Restaurant, New York. You can also order our specials and coupons online. Located at 760 Amsterdam Ave., New York, NY 10025. Our restaurant offers a wide array of fine Asian dishes, ranging from Age Dashi Tofu, Spicy Tartar, Angel Prawns, Eggplant with Garlic Sauce to Sweet and Sour, Sesame Chicken, Pad Thai, Thai Jungle Curry and Teriyaki. Try our food and service today. Come in for a Lunch Special or during evenings for a delicious dinner. You can also enjoy your favorite Food for take out or delivery. Our goal at La Ozen Asian Fusion Cuisine Restaurant is to provide an unforgettable dining experience for all our patrons. Copyright © 2008 . All Rights Reserved. Powered by E-Restaurants of ozencuisine.com.